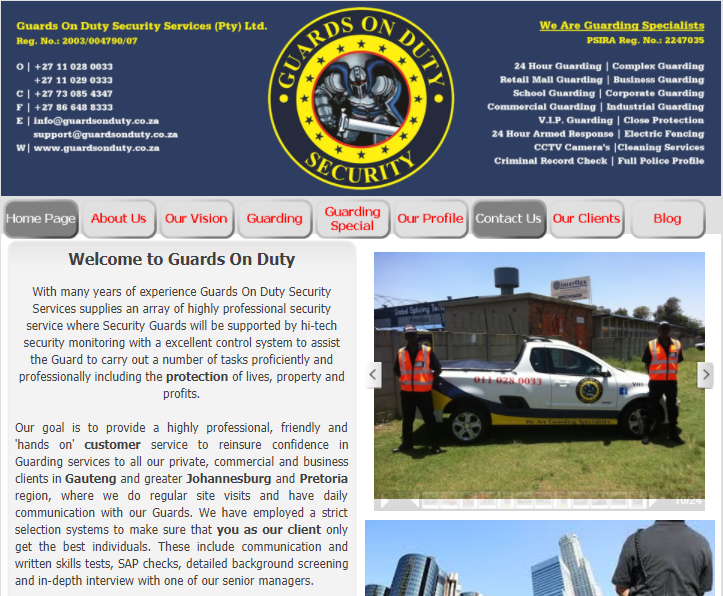 Being our clients security support we provide with dedication and most efficient a security service and advise by understanding the needs of our clients to always commit to the protection of our client’s assets and operations as our client’s needs are priority. We aim to communicate with our clients in a constructive, timely manner. “Dedication You can depend on”. 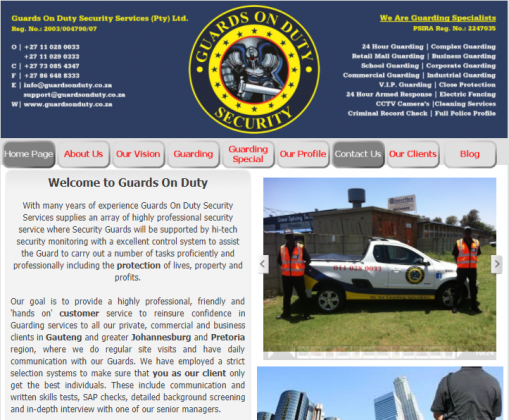 Our goal is to provide a highly professional, friendly and 'hands on' customer service to confidence in Guarding services to all our private, commercial and business clients in Johannesburg and Pretoria region, where we do regular site visits and have daily communication with our Guards. We thrive on building and maintaining a strong relationship with our clients, to deliver the WOW factor and always going the extra mile. With the years of experience and being involved in the Security Industry we noticed/identified the short coming of most other Security companies. "Our strength is the power of Observation and Dedication with the Ability to react before an incident occurs"